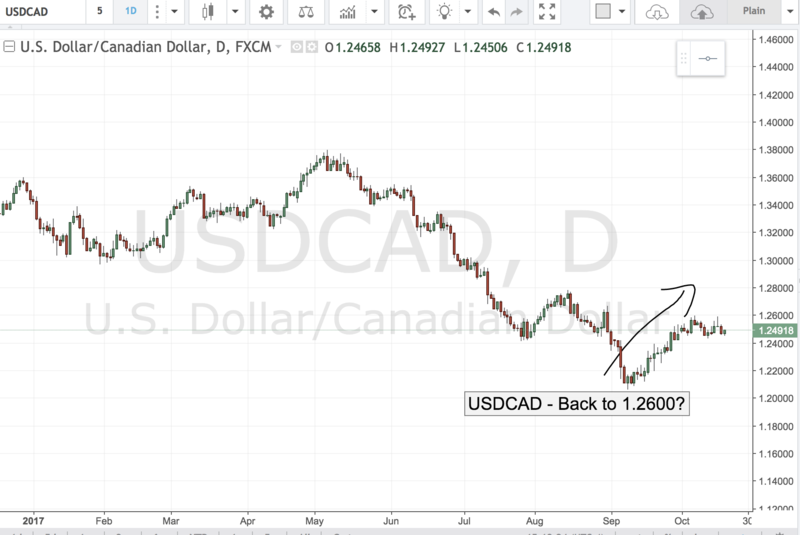 USDCAD – Back to 1.2600? Of all the comm dollars, none has held up as well against the buck as the loonie. While all others have tumbled against the greenback, the Canadian dollar held firm rejecting 1.2500 level on multiple occasions. A big reason for loonie’s relative strength is the fact that the BOC is the only other G-7 central bank considering a rate hike. Tomorrow’s Canadian CPI and Retail Sales data should go a long way towards determining if another rate hike out of Canada is a real possibility before the year-end. 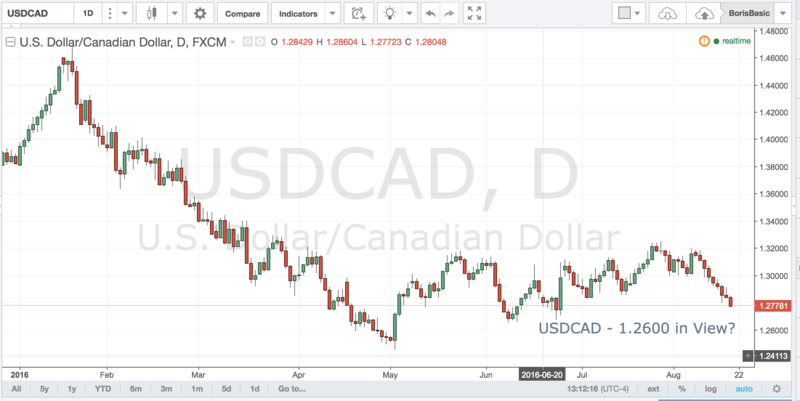 The market is looking for stronger data out of both CPI and Retail Sales data and if the numbers beat expectations USDCAD could test the 1.2400 level. However, if the data misses the pair could quickly push towards 1.2600 which has served as resistance for the past two weeks. 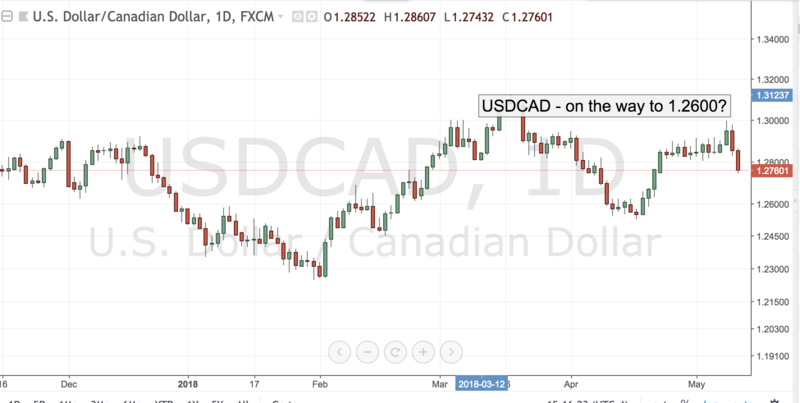 USDCAD – 1.2600 in View? The rise in oil back towards the $50/bbl level has put fresh life into USDCAD pair it inches its way towards the 1.2700 figure. But unless crude breaks above $50 and continues higher we doubt there is much further rally left in the pair. The fundamentals of Canadian economy have continued to deteriorate as a result of the slump in oil prices and tomorrow’s CPI data and Retail Sales release are likely to confirm the downward trend. That should leave the BOC in its accommodative mode and keep a lid on any loonie strength. For now the 1.2600 level is firm support while 1.3000 is now new resistance for the pair.